1. Get 20% discount + 25 % FreeCharge Cashback on ALTBalaji annual subscription. The annual membership price for ALTBalaji is Rs.300 which user will get for Rs.190 (Rs.60 off + Rs. 50 Freecharge cashback). 2. Also Get 100% Freecharge Cashback on Recharge / Bill Payments, Rs.12 FreeCharge Cashback on Recharge/Bill payment on Minimum transaction of Rs. 12. 2. Visit ALTBalaji Android mobile application, altbalaji.com or lite.altbalaji.com. 3. Select annual subscription and apply coupon at payment page. 4. Proceed to payment, If you pay via FreeCharge, you will receive 25% extra cashback upto Rs.50. 5. Also Get Rs.12 FreeCharge Cashback on Recharge/Bill payment. To avail this, do a minimum transaction of Rs 12 on FreeCharge app and apply the same unique coupon code at the checkout page to get 100% Cashback on Recharge / Bill Payment. 1.Get 20% discount + 25 % FreeCharge Cashback on ALTBalaji annual subscription I Also Get Rs.12 FreeCharge Cashback on Recharge/Bill payment. 4. The annual membership price for ALTBalaji is Rs.300 which user will get for Rs.190 (Rs.60 off + Rs. 50 Freecharge cashback). 5. Offer is applicable for once per user for ALTBalaji and Freecharge. 7. The customer shall receive Flat Rs.12 as cashback in the form of Freecharge Gift Instrument within 72 hours from the date of the transaction, the same can be redeemed within 1095 days from the date of the credit and is non-transferable. 8. Freecharge cashback code valid on FreeCharge app only. 9. Freecharge Cashback will be credited to your FreeCharge Wallet which can be redeemed within 1095 days from date of credit, and is non transferable Unique code is not valid for Add Cash transactions. 10. Offer is not applicable on virtual/ prepaid/ temporary/international cards. 11. 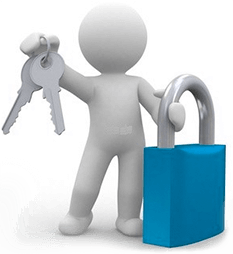 We reserve the right to end/modify any or all offers at our discretion without any prior notice. 12. We reserve the right to restrict cashback for any account with suspicious behavior or invalid details/credentials. FreeCharge has the right to ask for documents to prove his/her identity for any account. The kind of shows they have their name should be “Adult” Balaji.